Polartec power strech ice skating fitted jacket. "Skate with ornament" applique contain apx.400 superior machine cut Czechoslovakian rhinestone size ss16(3mm) AB Sapphire. 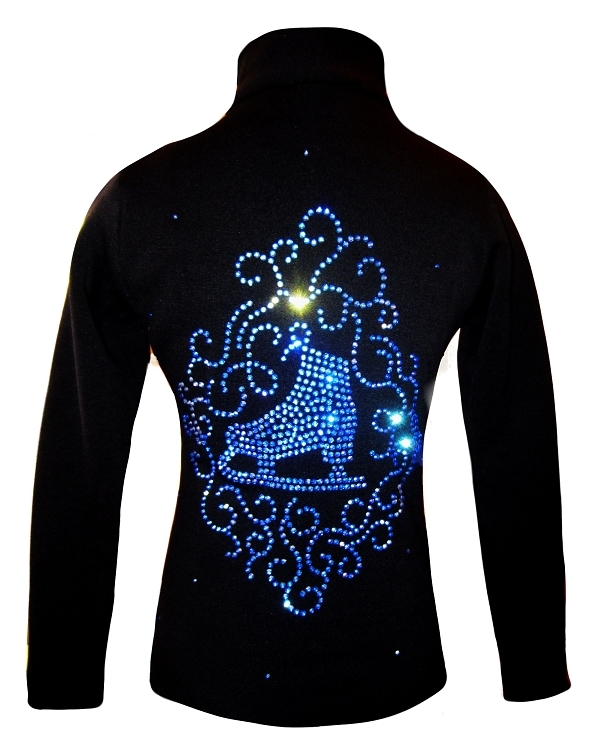 Very unique and absolutely beautiful this jacket will keep you warm and comfortable during ice skating practice. To create unforgettable ice skating outfit choose "Love & skate ornament" with blue crystals ice skating pants. This items are in stock and ready to ship!